On May 30 this year, divers on the MV DiveRACE Class E (dive charter) came across an unusal sight as they pulled the boat up to a favorite shipwreck - the 7 Skies. 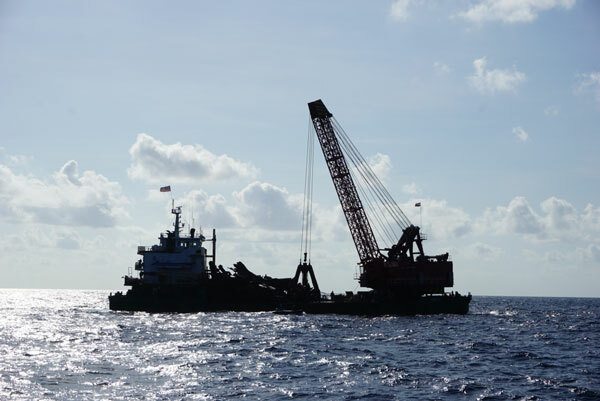 As they approached, it became clear that the ship floating above the wreck was using a massive crane and claw, pulling up scrap metal from the wreck. 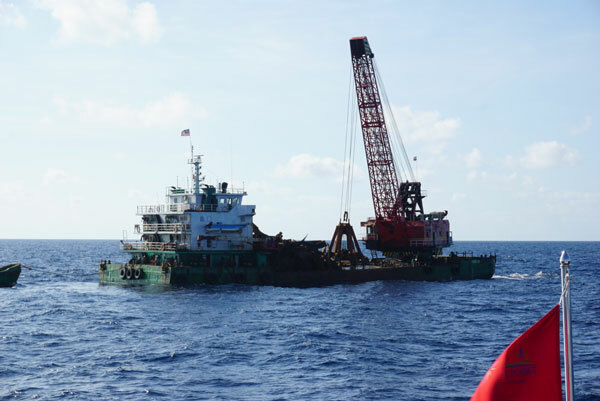 As the MV DiveRACE Class E got closer and launched tenders to confirm the illegal salvage, the ship pulled anchors and took off in retreat. 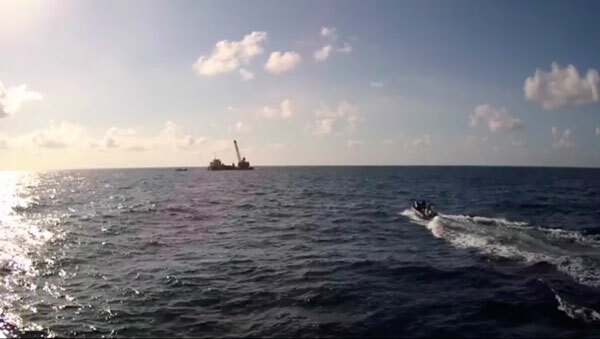 The DiveRACE team immediately contacted the Nongsa Point Marina (Indonesia), and learned later that the salvage operators were soon detained by the Indonesian Navy. According to the below DiveRACE video, the llegal salvage ship (the Puteri 99) had been flying a Malaysian flag, crewed by Chinese nationals. Unfortunately, the damage was already done to the iconic Seven Skies shipwreck. What was once a very popular wreck dive, visited by several liveaboard boats based in Singapore, is destroyed, now suitable only for technical divers. DiveRACE dived the wreck after the incident, describing what they saw when approaching the illegal salvage, then filming the video of the destroyed wreck below. Basically only the starboard bridge wing at 33m is left as the shallowest part of Seven Skies. It is supported by the starboard side of the accommodation block with a few broken decks. For recreational divers this is the only option to use as a dive. The fwd accommodation transverse bulkhead is tanked down to approx. A Deck. On the Port side there is the aft part of the port accommodation side bulkhead with some part of the deck open, but at around 35m it is just the bulkhead left. All the funnel, top of the engine room, swimming pool and off course the best part for recreational divers, the wheelhouse, is gone. There are still the hatches on the aft deck. The starboard lifeboat davits are still there, which would make a good tie off point. Didn’t have bottom time to check the port davits. The bottom line is as long as they do not do more salvage work (big if! ), although Seven Skies will obviously never be as good as we remember, it is still an interesting wreck – FOR TECHNICAL DIVERS. Square profile to bridge wing at 33m cannot be considered a recreational dive. From the numerous dives I have done on her, I would have consider the dive we did in the video as a great dive, big fish big wreck." 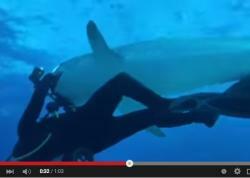 The following unedited video was filmed by Flip Dolmans during the dive described above. The Seven Skies was one of the most popular wreck sites for divers living in Singapore and holds a special place in many divers' careers. We are really saddened by the loss of 7 skies wreck. It was majestic and brought a lot of wonderful memories to divers around the region. Whalesharks and mantas could be sighted occasionally depending on the season and it always gave divers something to look forward to. However, due to the irresponsible actions of these salvagers, 7 skies wreck is not coming back anymore. Others wrecks in the surrounding waters, such as the HMS Repulse and Prince of Wales, have been salvaged too. The 7 skies is a precious historical wreck and now cannot grow, neither can it be replaced. Now all that is left are the memories of it. Below are some words from Dominic Cleary, a diver living in Singapore who has fond memories of the wreck. As a recreational diver I appreciated both the challenge and reward of the Seven Skies wreck. Like so many others, I am angry at what has happened and am concerned about what the outcome and impact will be. I've always looked forward to the Seven Skies. The visibility and current were always variable factors, but no matter the challenge presented, the wreck always rewarded - either by the structure itself (when good conditions prevailed) or by the marine life around the funnel and superstructure (when current and visibility were less ... friendly). I was on board the White Manta for a recent long weekend ‘Anambas Islands’ trip. The itinerary included Kataoka, Malangbiru and amongst other sites, the Seven Skies. 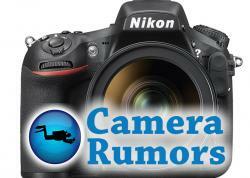 A dive on the Seven Skies wasn’t to be, as there were reports of a commercial ship with crane anchored at the site. We learned that the wreck had been salvaged, likely illegally. I'm angry at the blind stupid greed of those involved in this theft and destruction. I'm concerned for the community and business who felt the same way of the Seven Skies as I did. I've heard the crew was arrested, perhaps the boats concerned impounded. But what will become of them? Will all be released after paying perhaps only a fine and after checking their balance sheets, continue on? I hope the respective authorities follow Palau's recent example - place those in charge in gaol, and publicly destroy the boats used in these illegal acts! Special thanks to Dominic Cleary, Chris Hutton and Lionel Lim for their help with this article. Bluewater Travel can help you plan and book the perfect dive trip for you. Visit the MV White Manta page on BluewaterTravel.com for more info.